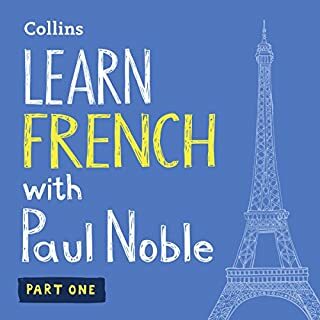 Best french audiobook i have tried, and ive tried quite a few over the years. 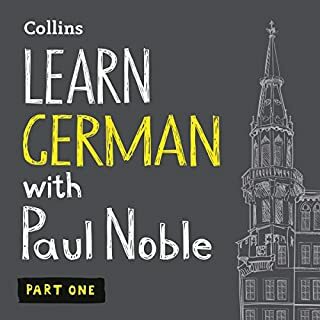 Paul Noble and Marion speak very clearly, which is fantastic for picking up the proper pronunciation. 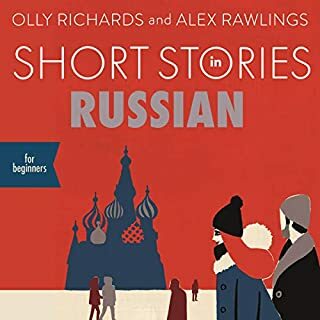 The build up to making sentences is done in such a way that afterwards you can construct your own simple sentences for your own scenarios that are different to the examples given in the audiobook. Highly recommend this for beginners learning French! Wow! This is an excellent course! Simple, easy! 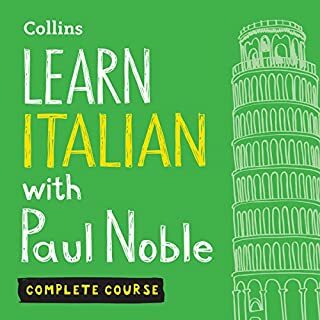 I wish Paul had more advanced learning courses! I highly recommend it ! 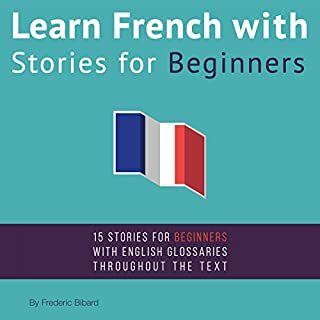 I learned more French from this 3-volume course than in years of formal classes and independent study combined. A very fun and creative learning style. Content is relevant and useful to actually develop sentence structures. I don't see how you do any better than what Paul did here for an audio teaching course. Exceeded expectations, and my French is so much better for it! 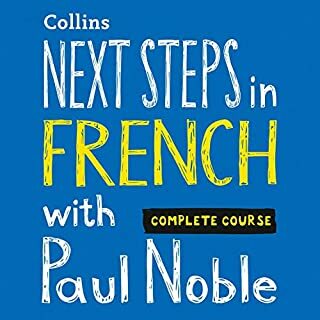 Paul Noble has taken this struggling woman, and taught her French. 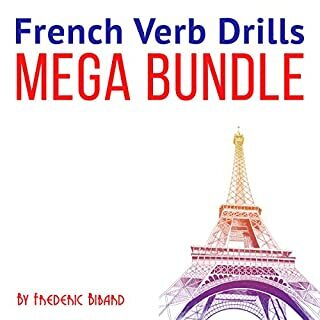 This series of audio books is a must for anyone wanting to excel in the French language. 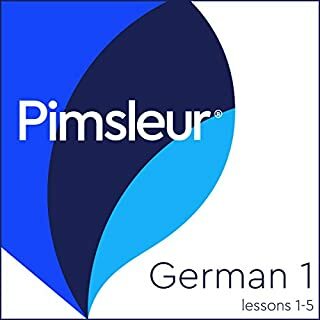 I recommend this to everyone looking for a strong foundation in the French language without a painful process. Thank you Paul! 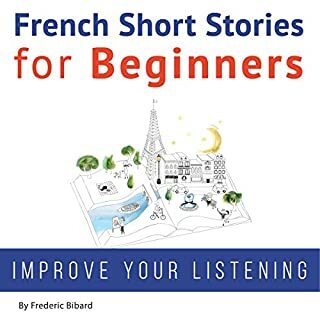 I have bought a few 'Learn French' audio books, and listen to them in turn. I listen to one until I feel out of my depth, then switch to another, back to a place where I am comfortable. I have found that this book explains the 'why' a word or phrase is what it is, better than any other. It helps me make sense of the other, more intense books, such as 'learn in your car' which is also very good. Is there a 4th Paul Noble book coming? I hope so. Paul has a calm, relaxed demeanor that really helped me to feel good about my learning. He enabled me to understand how a French sentence is structured. 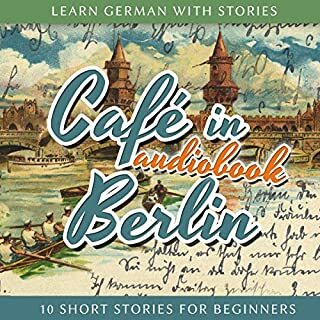 I would recommend this set of four audio books as a comfortable way to get started or as a way to integrate the Delf A1 workbook. I did have to go through the lessons 1 - 14 a few times. I did lessons 15 to 18 four to five times. Now it feels like I know some basics. This knowledge is not enough to read a book (a basic book) nor listen and understand french. But I still think this book gives one a strong foundation. I say this because, I am now listening to another book which has some standard french conversations. In the other book the explanation of basics & sentence construction is almost nil, I guess they are expecting one to memorize everything. 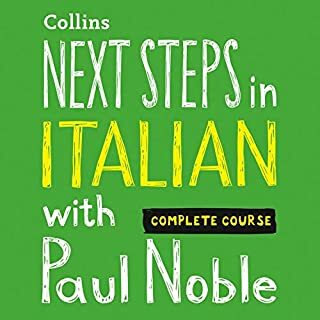 But having completed Paul Noble's books, I can easily navigate the conversation breakdown/explanation. Very easy to follow and done at a good pace. great to do before a french holiday. i like this series a lot. clear pronunciation. good pace. good learning method. two thumbs up. I really love the easy that this is delivered. Makes it easier to pick things up. Still struggling with some of it but here's hoping 3rd time lucky. Just wish he did a follow on! loved it. the only criticism, not enough vocabulary introduced. would recommend it especially if you've had some lessons in the past. 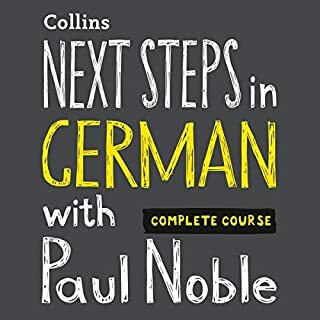 I feel like I have learnt a lot from listening to these audiobooks BUT there are some things which have made it frustrating and detracted from the experience which would be really easily remedied. I am writing this review in the hope that the publisher will take note! 1. There are occasions when the gap between Paul asking a question and the answer being given is non existent - seriously frustrating when you want to think it through and try to answer for yourself but don't even have time to reach for the pause button before she has blurted out the answer. REALLY ANNOYING! 2. I really resent the few occasions when Paul asks a trick question so I formulate an incorrect answer as I feel like I am reinforcing bad information by formulating that answer. I would prefer an explanation of the exception and then to be asked a question. 3. Most importantly, what I would give for a workbook or a transcript, or anything?!!? 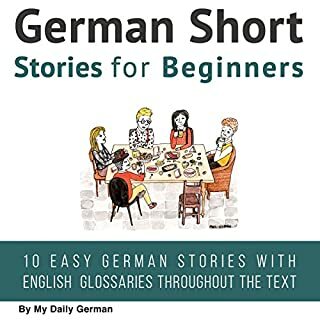 To me to learn a language you might as well also learn how to read it, write it etc or at least have a vague understanding of what it looks like e.g. the different verb endings, if you have just listened to the recordings you will be virtually unaware of all of the different verb forms. It will only help not hinder you. I gather if you buy the CDs you get a book of some description but no one seems to have thought through selling the book separately so that those of us living in digital 2014 can also participate. 3. There are a few moments when things are not explained. 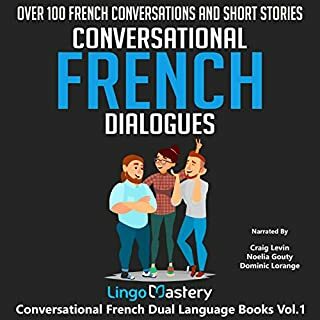 Someone who is not intimately familiar with either french or with the recordings needs to listen as a lay person and point out the loose ends. 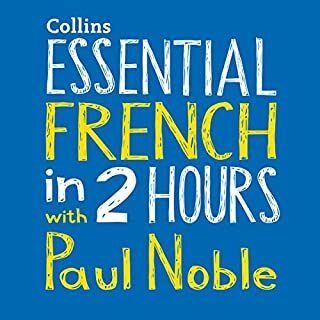 To any would be french speakers I do recommend this but would suggest you don't give yourself any grand ideas about listening in the car, whilst washing up etc and becoming a fabulous bilingual multitasking have it all kind of human. I tried that but found it totally ineffective. I have made about a thousand times more progress by actually sitting down and giving it 100% of my attention with a notepad, pen and most importantly google (to sort of bodge compensation for the lack of supporting text). 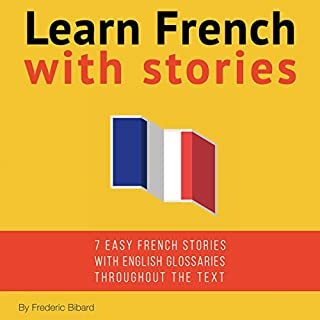 its good that length of book is long but too much speaking english in it an other negative point is french accent is too mechanic and sounds like computer instead of a french person. of course book is nice and very educative. 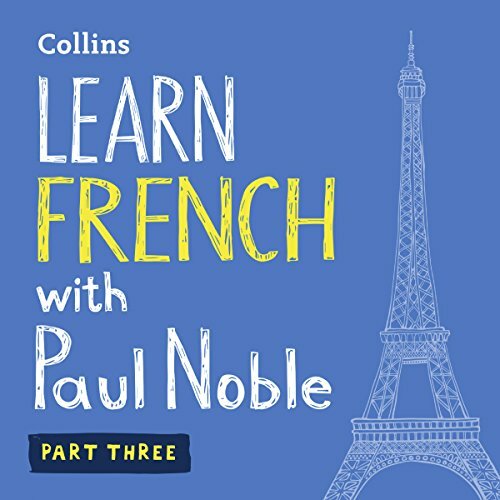 What would have made Collins French with Paul Noble - Learn French the Natural Way, Part 3 better? Which character – as performed by Paul Noble – was your favourite?